That light at the end of the tunnel? It’s provisionally called “the New Arena” (Nova Arena). Scheduled for April 2013, it will be the most modern multi-use arena in Latin America and significantly contribute to Palmeiras’ revenues. Earlier this week, journalist Danilo Lavieri at iG brought the news that WTorre – the investor and constructor of the New Arena and thus a stakeholder in future revenues – is very close to signing a 10-year contract (perhaps even longer) with AEG, the leading international sports and entertainment company. AEG, who has its headquarters in Los Angeles, owns and operates the Staples Center (below) – elected the best stadium in the US, host to over 250 events and receiver of nearly 4 million visitors a year – and the Home Depot Center in addition to managing the XL Center and the Rose Garden. In England, AEG owns the Manchester Evening News Arena and currently operates the The O2 which includes a 20,000 capacity arena. In Turkey, AEG will soon operate the 52.000-seater Turk Telekom Arena. AEG is also the owner of the Los Angeles Galaxy and a stakeholder in many other teams including the Houston Dynamo, the Los Angeles Kings and the Los Angeles Lakers. Having AEG managing the New Arena would obviously bring huge direct and indirect advantages for Palmeiras. 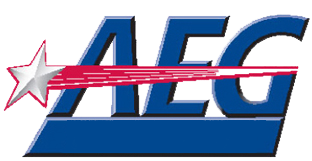 AEG is not only an expert in promoting “its” teams, but also to put the arenas it owns/manages to good use, being the second-largest event promoter in the United States. If the deal goes through, one can expect many mega-shows – that in previous days would go to the Morumbi Stadium and thus benefit São Paulo FC – going to the New Arena and bringing profits to AEG, Palmeiras and WTorre. A deal between WTorre and AEG would also be a serious blow to arch-rivals Corinthians, as AEG was expected to get involved in the “Fielzão” project, that outrageous waste of taxpayers’ money in order to provide the skunks with their own stadium. AEG seems to have backed out of the “Fielzão” in favour of Palmeiras and the New Arena. AEG might however get involved elsewhere in Brazil; with the World Cup taking off in exactly 1.000 days, the company is studying the possibility to manage stadiums in Belo Horizonte, Natal and Salvador. I’m not naive to the point of believing that the New Arena will resolve all of Palmeiras’ problems; far from it. However, without a doubt it will elevate the club’s finances to a never before seen level. That in itself, together with the professional management of the stadium through WTorre and AEG, will naturally impose a new model and conduct on Palmeiras and the counsellors. There will be continuously less space for the old rats and bats, while younger, competent and TRUE palmeirenses will fill the space. Commemorations are in order only when a contract has been signed. Still, that light in the end of the tunnel is shining brighter by the day. Glorious days lay ahead, believe you me. Previous Palmeiras 0-3 Internacional – where’s your finger pointed at?